We have discussed in recent posts a number of safety technology advancements including rear-view cameras, automatic brakes and new headlight systems. Another system that may be available in newer models allows vehicles to detect when a pedestrian walks in front of the car. The sensory systems aim to prevent collisions or at the very least reduce the impact in the event of an accident. In Boston and more rural areas of Massachusetts, pedestrian accidents continue to be a serious hazard, resulting in hundreds of injuries and deaths every year. Our Massachusetts pedestrian accident attorneys are dedicated to helping victims and their families recover compensation in an accident. We will take a comprehensive approach to review the facts of your case and pursue any damages you are entitled to after an accident. Our team understands the gravity of every collision and works to prevent future injuries and accidental death. According to the National Highway Traffic Safety Administration, pedestrian deaths have increased since 2011 with a total of 4,432 deaths nationwide. Many safety experts will attribute this spike to distracted driving as well as distracted walking. Those who are looking at their phone, even for a few seconds, will have less time to react to stop a pedestrian collision. Automobile manufacturers and researchers are exploring new technologies to reduce the number of accidents and the pedestrian death toll. For example the Toyota Pre-collision System (a.k.a. PCS), uses sensors to scan the road in front of the vehicle. This technology signals an audio and a visual alert to help driver take steps to avoid an accident. If the driver cannot stop or swerve in time, the pre-collision system offers an automatic braking function to prevent collision. The evolution from “passive” safety technologies (seat belts and design) to new “active” technology systems signals a new way of looking at accident prevention. This technology will play an important role in reducing the number of accidents involving distracted driving. Active technology helps to prevent accidents when a driver does not see the potential pedestrian accident or does not have time to react. Another system is the Ford Obstacle Avoidance technology which combines cameras and sensors. 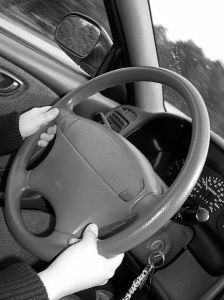 The system also has the ability to “self-steer” in an emergency to prevent an accident. Volvo also launched its City Safety technology several years ago, a system designed to prevent low-speed collisions involving distracted rivers. The updates allow the system to detect pedestrians and animals. Some of these systems are already available and others will be fully developed by 2015. If you are looking for a newer vehicle model with these safety features you will be able to see testing and rating systems provided by the Insurance Institute for Highway Safety. While safety technology can prevent accidents, negligence will continue to plague the nation’s roads and highways. Remember that in the event of an accident, you and your loved ones may be entitled to significant compensation. An experienced advocate can review the facts of your case, identify those responsible and pursue the financial support you need and deserve. If you or a loved one was involved in a pedestrian accident, contact Jeffrey S. Glassman for a free and confidential consultation to discuss your rights. Call 1-877-617-5333 today.